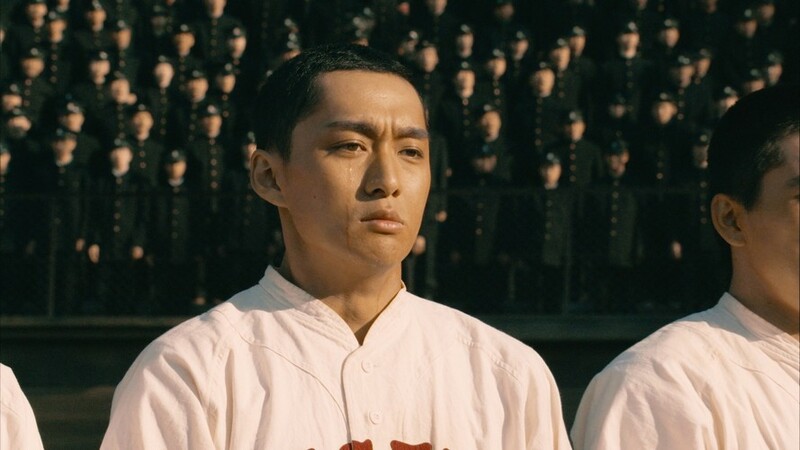 Set in 1943, baseball is banned in Japan as "a sport of the enemy country" as Japan is at war with the U.S. The baseball match between Waseda University and Keio University (the So-Kei game), which is hugely popular nationwide, is no exception. Despite the harsh conditions, Tobita Suishu (Akira Emoto), the staff advisor to the Waseda University baseball team, and Koizumi Shinzo (Koji Ishizaka), the President of Keio University, decide to make arrangements to hold "one last So-Kei game" to give a send-off to students who may be drafted to war at anytime and may not return alive. On October 10th, 1943, the game finally takes place. One of the leading players for Waseda, Toda Junji (Dai Watanabe), who has lost his brother in the war, is also participating. After the game, a moving scene unfolds with cheering groups singing each others' school songs and pep songs as well as exchanging calls. "Saigo no Soukeisen" refers to a baseball game held at Totsuka Stadium between Waseda University and Keio University on October 16th, 1943. The stadium later came to be called Abe Stadium, and it is currently the site of the Waseda University Library and International Conference Center which are in what is known as the "Center for Scholarly Information". 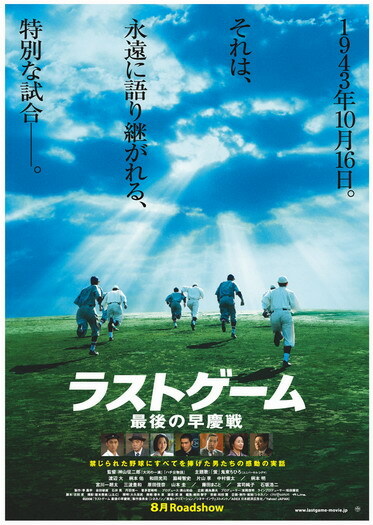 The 1979 film "The Last Game" also covers the last game for students before entering the war.